We Can RENEW Your Look! Dr. Wudel is Board Certified in Facial Plastic and Reconstructive Surgery and provides a broad range of facial plastic procedures including Rhinoplasty (nose surgery), Blepharoplasty (eyelid lift), Facelifts and Facial Implants, Browlifts, Lip Augmentation and Lift, Liposculpture, Earlobe Repair, Scar Revision, and Skin Cancer Reconstruction. 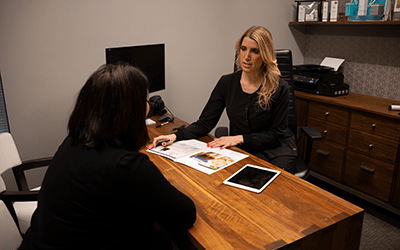 We also offer non-surgical skin care procedures including BOTOX® Cosmetic treatments, Injectables and Dermal Fillers, and Kybella, all administered personally by Dr. Wudel. Denise Bona is our Licensed Medical Aesthetician and Nationally Certified Laser Specialist.